Most of pro wrestling’s story telling is done in “segments.” There are many different kinds of segments, with some of them being pre-recorded backstage footage where one wrestler talks smack about his rival and some taking place in the ring in front of the live crowd, with both men arguing about random nonsense. Sometimes, those segments become legitimate phenomenons, resonating with the public that want to unite behind a hero or rally against a villain. Dusty Rhodes, for example, inspired the southern working class with his “hard times” promo during his feud with Ric Flair. 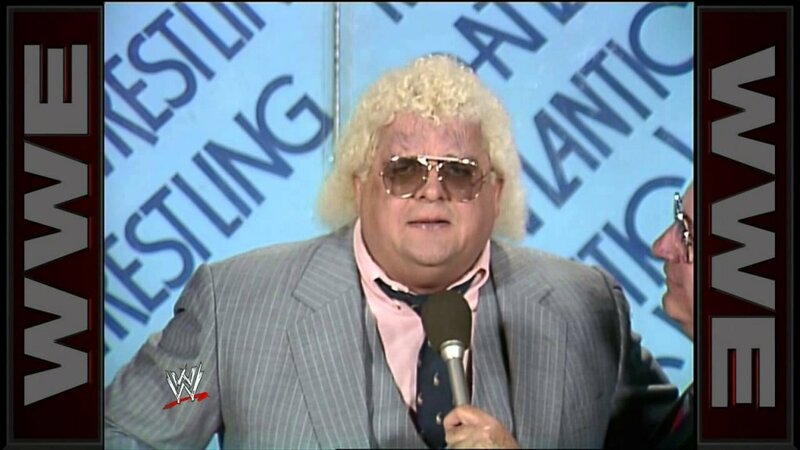 Dusty Rhodes was the man of the people when he took on the Rolex-wearing Ric Flair in the 1980s. Photo by WWE on YouTube. Other times…well, you get things like this. The co-main event to TNA Wrestling’s big upcoming event Slammiversary is a brother vs. brother matchup between former WWE tag team champions (and also highly accomplished singles wrestlers) Matt and Jeff Hardy, previously known as the Hardy Boyz. To promote their match, TNA put together an absolutely ludicrous promo package for it with both men coming off as completely bat s–t insane. Absolutely terrible cut at 0:45 where they don’t even bother to try and make the music sound nice. Even worse one at 1:02. If Matt Hardy is documenting this contract signing, why are there so many crazy camera angles? Does he own a helicopter and follow his wife around? Look at the COMPLETELY UNNECESSARY CUT at 1:59! They’re not even pretending that he got his lines right in one go. What is a “sanctuary of a genesis”? Pretty sure that Matt Hardy talking with the gardener is a shoot. The guy that mows his lawn just greeted him and they left it in. Also, he disappears when Jeff walks by for no reason. Two notes about the transition at 3:39. First, the sound of him rolling out of the ring starts before he actually moves. Second, this is an EDITED VIDEO and they didn’t bother to get footage of him cleanly rolling out of the ring. I can keep going, too! The match takes place tonight at Slammiversary! Also on the card is Drew Galloway vs. Bobby Lashley, Mike Bennett vs. EC3 and…well, that’s about it.